After announcing promising quarterly results, Facebook Inc (NASDAQ:FB) is all set to focus on its aggressively growing business unit, mobile advertising, with more mobile user targeted features. The social networking company launched its latest feature “Place Tips” for mobile users that offers more information about the places users are visiting. This new feature from the social networking company would compete directly with location apps such as Yelp and Foursquare. At the same time, introducing the feature on mobile application would allow company to increase it mobile users. However, the new feature is available on iPhone Facebook application only. The interesting part of this feature is that it will show posts and photos shared by the user’s friends making it an authentic suggestion. Facebook Inc (NASDAQ:FB) gave an idea about the working mechanism of ‘Place Tips’ and the feature would use cellular networks, GPS and Wi-Fi connection to find the location of the user. Earlier this week, Facebook announced its fourth quarter 2014 financial results and the most important thing was its mobile advertising revenue, which accounted for 69 percent of the overall advertising revenue of the social networking company. The shares of Facebook Inc (NASDAQ:FB) have grown by nearly 3 percent after the quarterly results announcement. Facebook reported quarterly revenues of $3.85 billion in its recent quarter and its annual revenue was $12.47 billion in 2014. 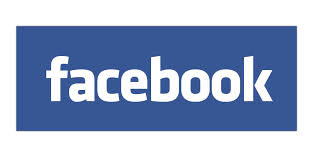 The shares of Facebook Inc (NASDAQ:FB) are trading at $78.00 with current P/E ratio of 74.01.